The first incarnation of the group Mariachi Vargas de Tecatitlán began in 1898 as a quartet. The group later emerged as one of the most celebrated mariachi groups, and acquired national success upon its presentation at the inaugural celebration of President Lázaro Cárdenas in 1934. 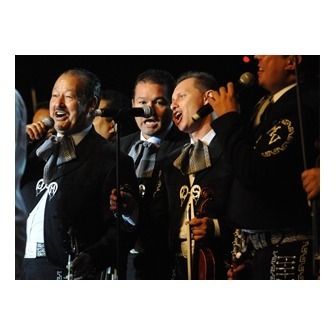 Mariachi Vargas became renowned as the definitive mariachi ensemble, and its classic sound has won the group numerous awards and accolades, including the title of "World's Best Mariachi" since the 1950s. The band actively participates in international mariachi festivals in order to promote the pride of the genre and encourage young mariachis to pursue lifelong careers. Mariachi Vargas' appearance on Linda Rondstadt's well-received Canciones de Mi Padre won the vocalist a Grammy in 1987; she would later go on to tour with the group, exposing international audiences to the Mexican mariachi sound. Recently, the Houston Grand Opera turned to the ensemble's legendary leader, Jose "Pepe" Martinez, to write the score and collaborate with librettist Leonard Foglia in creating the world's first mariachi opera, "Cruzar la Cara de la Luna" ("To Cross the Face of the Moon"), which premiered to sold-out houses in Paris, Houston, Chicago and San Diego!